Enjoy delicious US and Hawaii made craft beesr along with some of the very best Hawaii Island style cuisine. It’ll include brew tasting, sampling of gourmet cuisine, entertainment, trash fashion show, musical groups, homebrew competition, 5k / 10k and much more. Nestled against Kamakahonu Bay, and overlooking theʻAhuʻena heiau, the Kona Brewer’s Festival offers an experience unique to Hawaii Island. Produced in the spirit of Pualu (working together) and Malama Pono (respecting the land), the festival draws thousands of people together to enjoy incredible craft beer, island style cuisine, great music and the company of good friends. Add to that the views of Kailua village and the trembling blue horizon of the Pacific Ocean, the stage is set for an authentic Hawaiian experience. Each of 36 breweries from Hawaii and the mainland United States taps up two types of beer, ranging in style and flavor to delight the palate of every craft beer connoisseur. Chefs from 36 of the Big Island’s top restaurants serve sweet and savory tastes of island-style food, from fresh fish and barbecued meats to decadent desserts. A hula and blessing kick off the event. A stage with live music entertains festival-goers throughout the day. The annual Trash Fashion Show, designed to raise environmental awareness, shows off attire made entirely from recycled material. Since its humble beginning in 1996 to celebrate the creation of the Kona Brewing Company, the festival’s mission is raise funds and awareness for nonprofit organizations which contribute to the well being of Hawaii’s youth, environmental conservation, and cultural traditions through the celebration of handcrafted brews and local cuisine in a sustainable community gathering on the Island of Hawaii. The Festival includes a Home Brewers Competition and the ever popular Run for Hops 5k run/walk. Over the past 24 years, the Kona Brewers Festival has become one of Hawaii’s premier events and has raised 1.2 million dollars for Big Island non-profit organizations. Join us in raising pints and funds for a better world! The Juiciest Event On The Island! Details: Orchid Vendors from Around the Island With New Hybrids and Exotic Orchid Species! The Kona Orchid Society (KOS) is a nonprofit, 501(c)(3) organization dedicated to educating our members and the public about the collection, culture, and appreciation of orchids. Since 1985, we have promoted fellowship among orchid enthusiasts. Our members include both individual hobbyists and commercial growers, all brought together by our common interest. KOS usually meets at 6:00PM on the first Friday of the month. The meeting is held at the Makua Lani Academy Bridge House Building at 74-4966 Kealakaa St., off Palani Road in Kailua-Kona. Our membership meetings are open to the public and we welcome anyone interested in joining us. See our schedule of upcoming events for further information. If you have an interest in becoming a member, see our membership page. We have wonderful meetings where we learn from many orchid experts about how to successfully grow our orchids. After sharing a pot luck meal and listening to our guest speakers we have a time for Show and Tell. People bring their blooming orchids and share info about what elevation they live in and the type of orchid. It is really amazing to see the beautiful orchids people are growing! We end with an orchid raffle. It is really fun. Each year on Mother’s Day weekend (Friday and Saturday), we hold our Annual Orchid Show and Sale in the pavilion at the Old Kona Airport in Kailua-Kona. If you are in the Kailua-Kona area, you won’t want to miss it. Admission is FREE to everyone. 9th Annual Don the Beachcomber Mai Tai Festival is Saturday August 19, 2017! Royal Kona Resort celebrates the legendary Mai Tai cocktail at the 9th Annual Don the Beachcomber Mai Tai Festival. 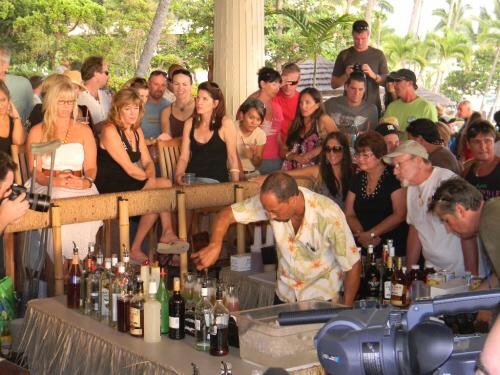 Watch as over 20 of the world’s top bartenders converge on the Big Island of Hawaii to mix it up in a battle for the title of World’s Best Mai Tai and a $10,000 cash prize. 🔅Mai Tai Mix-off: From 4:30pm – 7:30pm watch bartenders from around the world vie for the title of World’s Best Mai Tai and cash prizes. First place winner receives $10,000, second place winner receives $5,000, and third place winner receives $2,500. Contact Info:	Contact Royal Kona Resort at (808) 329-3111. 3rd Annual “Tropical Inspirations Quilt Show”will take place on Saturday & Sunday, July 22 & 23 2017! 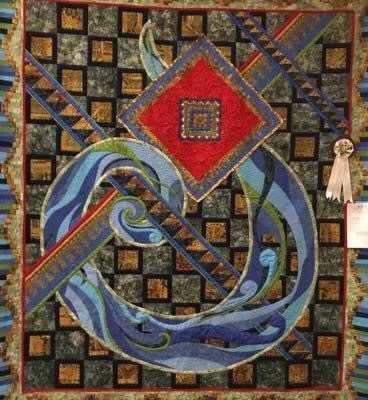 Join us for the 3rd Annual “Tropical Inspirations Quilt Show” sponsored by Kona Hawaiian Quilt Museum Society, the Hawaii Tourist Authority Community Enrichment Program, Aunties Two and co-produced by Quilt Passions, Kailua-Kona,Hawaii and Pieceful Designs, Eugene, Oregon. Located in downtown Kailua-Kona, the King Kamehameha’s Kona Beach Hotel offers the perfect tropical setting for a beautiful collection of Hawaiian and Island inspired quilts, as well as vendors selling handcrafts and a few surprises! Contact Info:	Contact Robert or Karen at 808-329-7475. Absolute OCEANFRONT unit amidst all the excitement of living in Kona. 3 bedroom/3 bath fully furnished remodeled unit with over 2,500 sqft. This is the only 3 bedroom/3 bath unit in the entire Royal Sea-Cliff Club. Tropical gardens with streams and waterfalls outside your door. Enjoy salt water and fresh water pools, spa, tennis, elevator access next to assigned parking stall… and all imaginable comforts of living in a resort. Daily maid service available. This property has it all and steps away from fine dining, ocean activities, entertainment, shopping and fun. Watch the cruise ships and fabulous sunsets from your private lanais, living room, kitchen and master bedroom. Maintenance fee includes A/C, water, outside insurance, plus care and upkeep of premises and all amenities. All in downtown Kona! Contact me for further details on this listing.